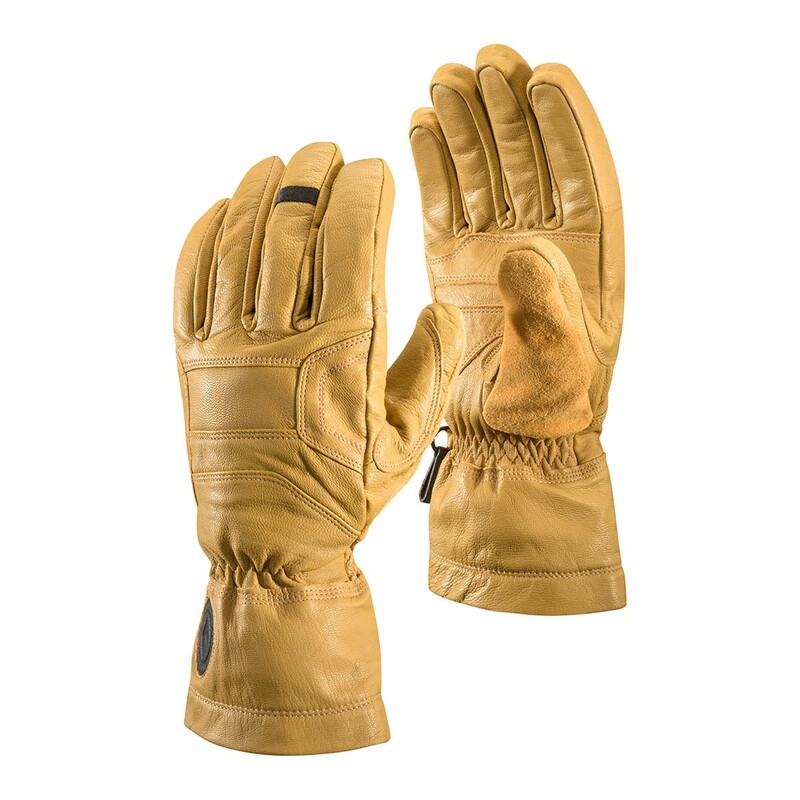 The Black Diamond Kingpin Gloves are a lightweight, all-leather work glove with dexterity and durability for everyone from snow professionals to winter climbers. With a fleece lining and a suede leather nosewipe, the Kingpin Gloves will protect you from the cold, rips and tears, and from the sniffles. Able to operate digital devices without removing the gloves. Pros: Cheap (compared to BD), relatively warm and very rugged, they are barely scratched despite regular jams in alpine cracks. Really good grip when climbing more technical ice/alpine terrain. Cons: Don't breathe well (as would be expected) and take long time to dry. I have been using the torque gloves before, which are extremely good for steep and technical ice/mix, I would say the the Kingpin is just like a slightly warmer Torque with fleece.